I have received a copy of ‘The Healthy Family Slow Cooker Cook Book’ in exchange for this post. All opinions are mine alone. 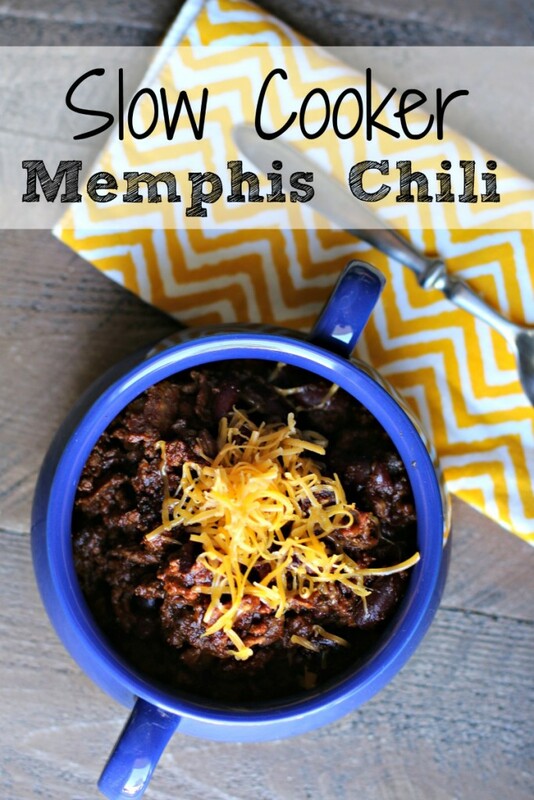 I am excited to show you this gorgeous Memphis Chili Recipe today. It comes from Christina Dymock’s newest book ‘The Healthy Family Slow Cooker Cookbook’. This book is from the same publisher that made my book, and the quality is unmatched! I started this Memphis Chili in my slow cooker on our way out the door to the river on Sunday. And when we arrived home, we had this beautiful and healthy chili waiting for us! You won’t miss the fat in this recipe, the turkey bacon adds a great smokey flavor, and the spices are perfectly executed. I had never used turmeric before, and I love how it brightened up this chili! As you can see this chili turns out nice and thick! A perfect hearty dinner. 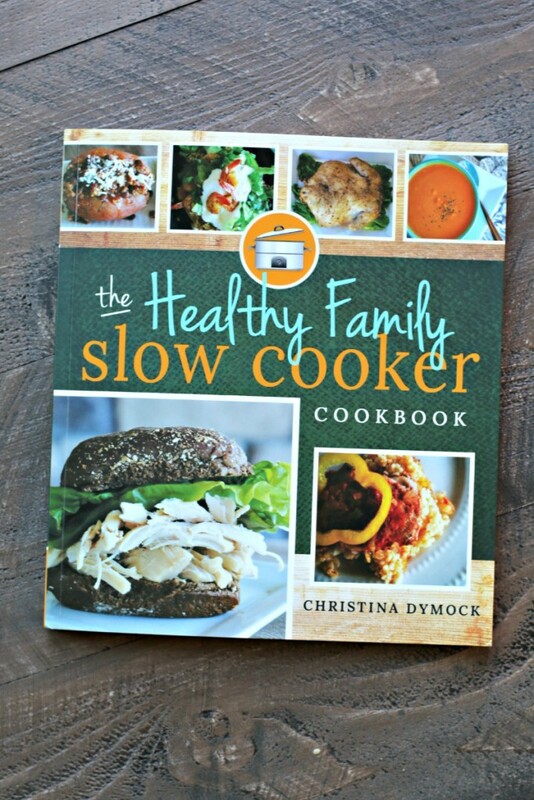 You can buy this cookbook here: Healthy Family Slow Cooker Cookbook by Christina Dymock. Christina has published many other cookbooks and also writes clean romance novels under the pen name Lucy McConnell. Add everything into a large slow cooker. Stir until just combined. Cover and cook on LOW for 4 hours. This chili sounds delicious! I’ve never used turmeric either, but I keep reading about all the wonderful health benefits and this chili would be a great place to start incorporating it into our diets! This looks like a recipe I have to try! I’ve never used tumeric either! I love chili! Love using tumeric whenever I can as well. Definitely trying this! 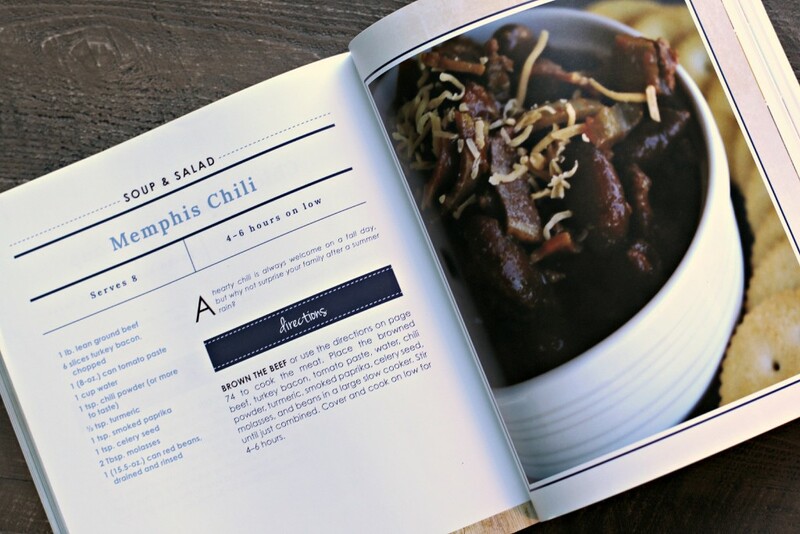 The cookbook looks amazing too! Holy YUM! This just looks soooo tasty with all those seasonings. And I never thought to cook turkey bacon in the microwave – I’m going to try that. Great tip! This sounds absolutely delicious! And I love the turkey bacon in this! 🙂 I think I need that cookbook too, lol!